During years of study and exploration, Stephen Lyman discovered his calling: to paint the wilderness with passionate commitment, and to communicate the joy found there in each image. Through his beautiful paintings and extraordinary photography he celebrates the importance of the wilderness as a whole. Into the Wilderness is more than a splendid art book. With it, you can journey with Lyman into a wilderness very few have experienced. You can share the sensation of being in the wild--exploring, discovering, studying, and enjoying the all-encompassing beauty of unspoiled nature. Into the Wilderness features Stephen Lyman's favorite paintings, as well as many unpublished paintings and sketches. In addition, the artist includes more than one hundred of his own photographs showing details and overviews of the natural world that inspires his paintings. Through Lyman's paintings and photography, and in the words of writer and former Sierra magazine editor Mark Mardon, each of us can experience the deep quiet of the woods, find serenity at the water's edge, climb mountains, and be completely at home in the world of the wilderness. Over years of study and exploration, Stephen Lyman discovered his calling: to paint, with passionate commitment, not just wildlife but the wilderness, and communicate its joy in each image. Through his beautiful paintings and extraordinary photography he embodies the importance of the wilderness as a whole. the natural extension of his quest is now in your hands. 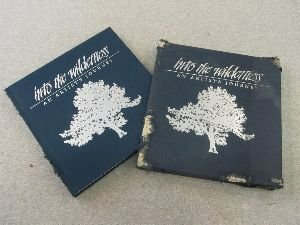 Into the Wilderness: An Artist's Journey, therefore, is more than a splendid book of art. Through the art and photography of Stephen Lyman you can travel with this dedicated explorer into a wilderness very few have experienced. You can now share the sensation of being in the true outdoors--exploring, discovering, studying and enjoying the all-encompassing beauty of unspoiled nature. John Muir, one of the world' s most important naturalists and conversation writers, once said, "Climb the mountains and get their good tidings." Stephen Lyman knows exactly what he meant and, like Muir, seeks to communicate the value of the wilderness through his art. One of the reasons Lyman's work is so successful is the purity of his purpose. Lyman does with art what Muir did with words. To many, the artist is the living personification of Muir. Through Lyman's paintings and photography, as well as the words of writer and former Sierra magazine editor Mark Mardon, you too can travel deep into the woods, find serenity at the water's edge, climb mountains, and be completely at home in the true world--the world of the wilderness.